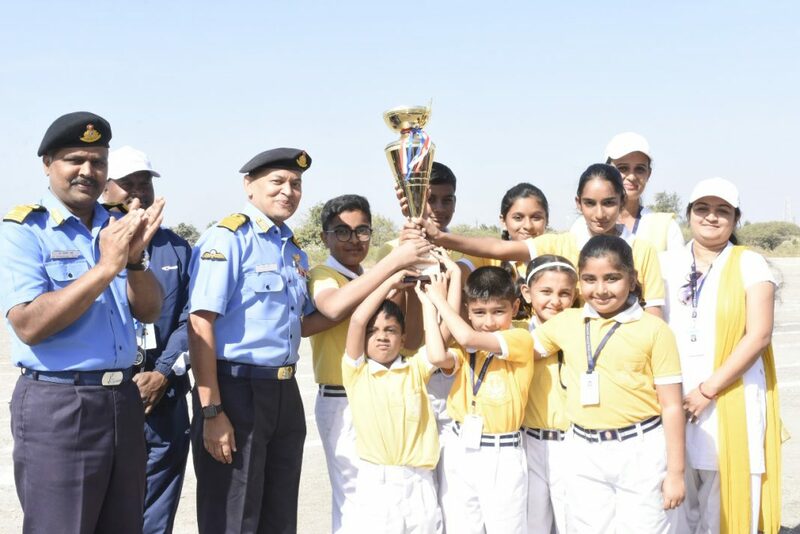 The Maiden Annual Sports Day of Navy Children School (NCS) for the Academic Year 2018-19 was organised at Naval Base, Porbandar, on 02 Feb 19. 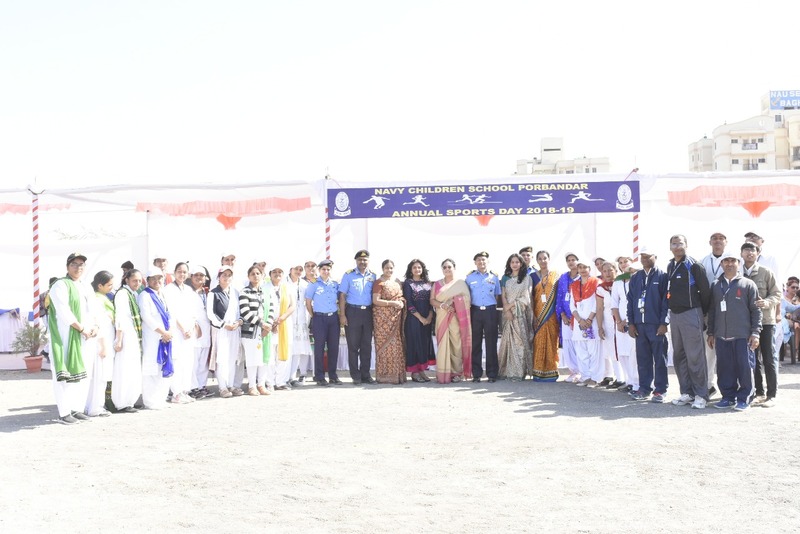 The Flag Officer Commanding Gujarat Naval Area accompanied by President, Naval Wives Welfare Association were Chief Guests for the occasion. 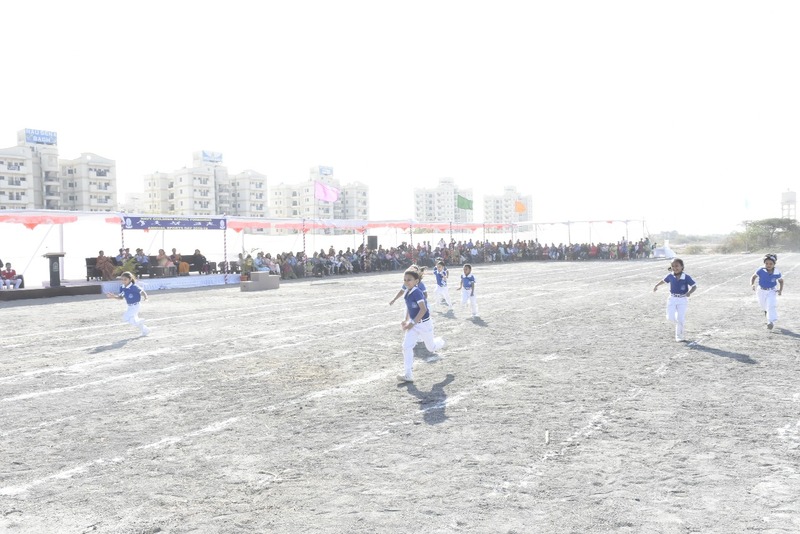 The event was attended by parents and students of NCS, Porbandar. 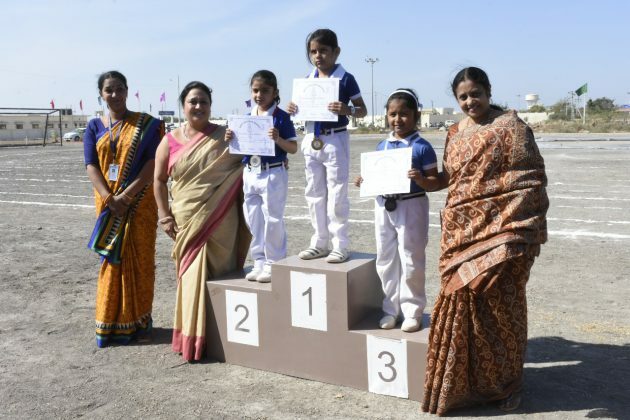 Lincy Pancholi, Headmistress, NCS, Porbandar, extended a warm welcome to all the guests and participants. 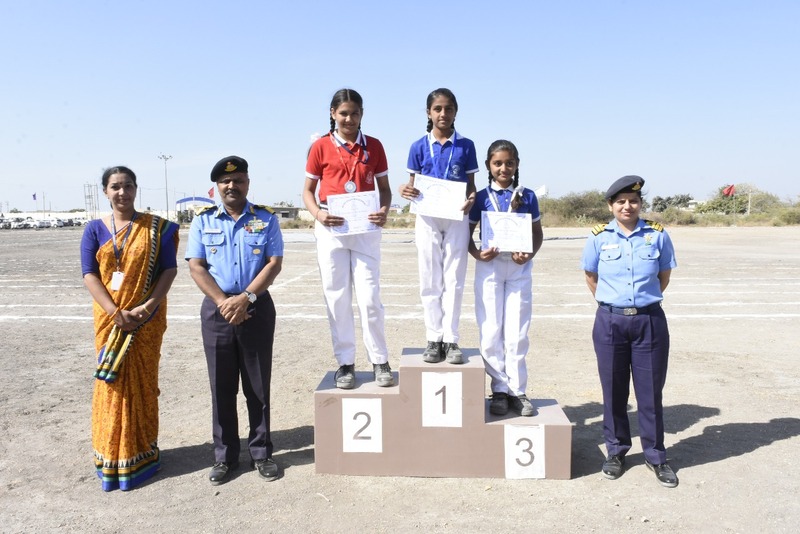 Various events of the annual sports day, like, March Past, Mass Drill, Pyramid Formation, Surya Namaskar, Athletics, etc were conducted excellently.